Shop today and collect 1 point for every £1 you spend online. There's more to AGA Cookshop than high quality, exclusive cookware and accessories. There is now something extra everytime you shop with us. We value you as a customer and want to reward you with not only superior food created with AGA cookware but with exclusive offers just for you. It's free to join our reward point scheme - earn 1 point for every £1 you spend with us. Simply place your order online and your loyalty points will be added to your account. The next time you shop with us you will be given the option to use your points towards payment of your order. Not only will you receive points you will have the opportunity to access exclusive offers and events. Treat yourself and your AGA with AGA Cookshop reward points. Access your points on your mobile, tablet or laptop - they'll be waiting for you in your account for you to spend. Remember points add up - the more points you earn the more you'll save off future orders. 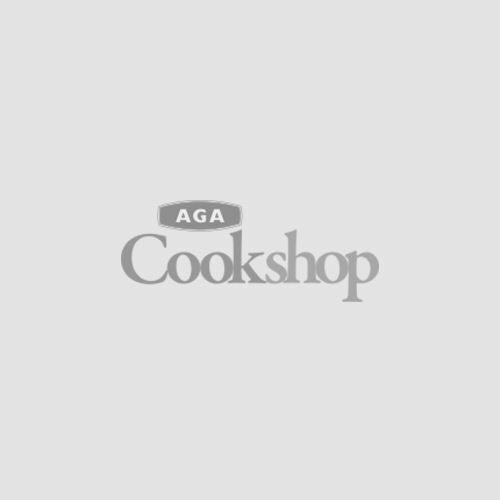 The AGA Cookshop reward scheme is operated by AGA Cookshop. Members accumulate points in respect of AGA Cookshop qualifying purchases. One point for every £1 spent. To earn AGA Cookshop reward points, Members must be logged into their account at the time of check out. Points cannot be added retrospectively. To participate in the Loyalty scheme you must have a valid email address as the scheme is administered electronically and notification of offers, etc will be sent to your email address. If a Member is given a refund on any transactions from AGA Cookshop, the Loyalty points awarded on the transaction will be adjusted accordingly. Reward points cannot be added or backdated to orders that were placed prior to the introduction of this scheme. AGA Cookshop has the right to withdraw, change or cancel the scheme at any time. Members will be deemed to have accepted any changes by continued use of the reward points. AGA Cookshop shall not be liable for any damage, theft, loss or unauthorised use of any AGA Cookshop reward points. The reward Scheme is not a credit or guarantee scheme. Employees of the AGA Rangemaster Group Plc are not entitled to participate in the AGA Cookshop Loyalty Scheme.